ItemBARK_1990.0003.0087 - Unidentified Chinese man; circa 1910. Item BARK_1990.0003.0087 - Unidentified Chinese man; circa 1910. 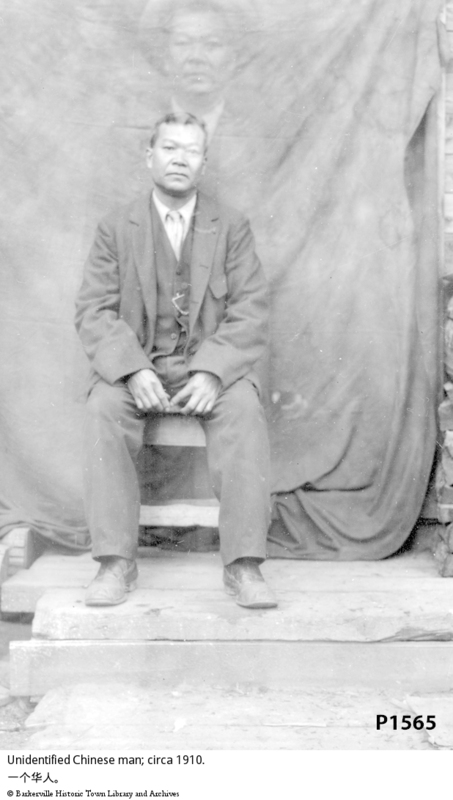 Unidentified Chinese man; circa 1910. A Chinese man sitting in front of a dark cloth backdrop. There is a "ghost" like image of him over his head. See also P 1559.